Enjoy a convenient stay at this airport hotel where you will be received with warm hospitality. Offering a warm and friendly atmosphere, the light-filled rooms provide a lot of comfort and guarantee a restful sleep. Hotel facilities also include meeting rooms, a restaurant, a bar and a lounge. Moreover, a free shuttle service to and from the airport is provided. 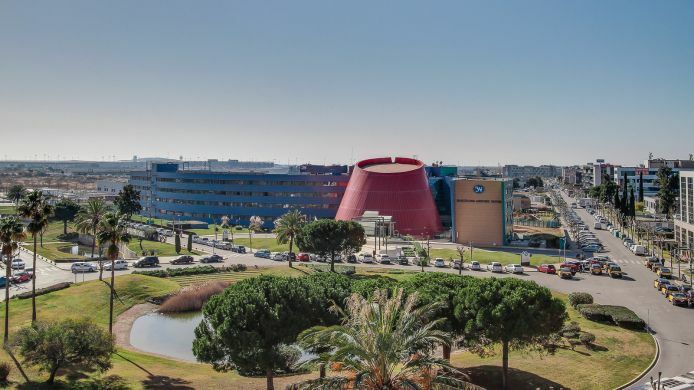 Just a short drive away from Barcelona Airport, the BAH Barcelona Airport Hotel in El Prat de Llobregat is an ideal choice for business trips, stopovers, or city trips to the Catalan capital, which is reachable within approximately 20 minutes by car. The exhibition centre on Gran Vía is only 10 kilometres from the hotel.